You can cancel your My Home Finder account anytime. Don Cies Real Estate will not distribute your information to other companies without your permission. Why List with Don Cies? I am an Oklahoma native, born and raised in the local area. Growing up, I was always involved with extra-curricular activities through Norman Public Schools and St. John�s Episcopal church. I graduated from Norman High School and later attended both the University of Oklahoma and Oklahoma State Universities. 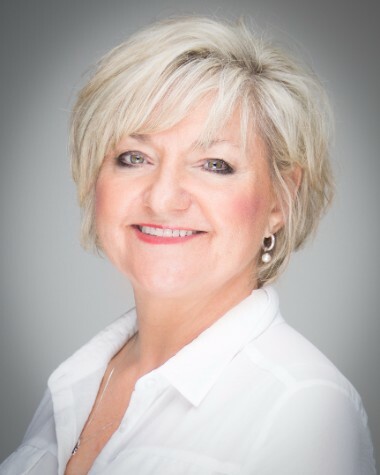 My current hobbies include attending sporting events, spending time with my family, boating at Lake Texoma, traveling, and volunteering with various Adult programs and Children�s organizations. The close-knit community of Norman has my favorite restaurants to boot! I live where I work and love it! Formerly I lived in San Antonio for 23 years and raised two sons to be Texans. There I was a hospitality professional in Hotel Sales for Hyatt and Hilton. I retired from the hotel business and have enjoyed the transition to home sales where finding and creating a personalized home environment for my clients reminds me of the fabulous lodging options to choose from. I am a licensed Realtor. 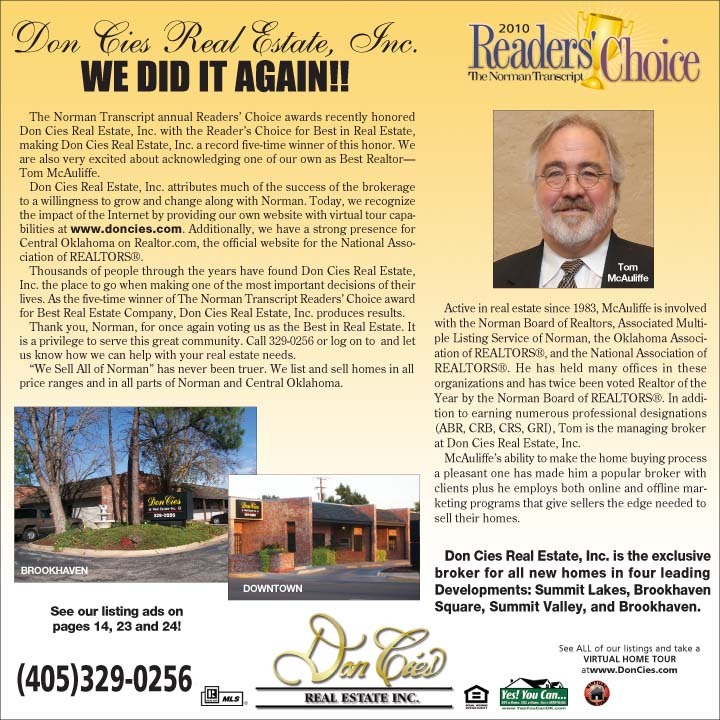 I specialize in representing my clients in the purchase and sale of single-family residences and income property within Norman. I truly love this area and pride myself on my knowledge of current transactions, school districts, neighborhood information, and related services, including mortgage, insurance, and inspection information. I am a customer driven Realtor dedicated to achieving results and providing exceptional service. If you are in the market to buy or sell a home, I will put my real estate expertise to work for you! My mother has been a realtor with Don Cies for 16 years and I enjoy that legacy daily. Timing is everything and I always recommend that buyers get pre-approved at a good lending institution. It doesn�t take that long and that question will come up. Sellers are more likely to be flexible if you have done so. Many times, it can be done over the phone. Sellers will want to Clean! Clean! Clean! More than you�ve ever cleaned before�. seriously. Remove all clutter. If you don�t need it sitting out�put it up in a drawer or shelf. Take care of smells you don�t even realize exist. Fix the things that you�ve been meaning to fix. Serious buyers notice more than you realize. Let me help you with our resources for home improvement, home repair and getting our relationships with title companies, lenders and professionals working for you! Thank you for visiting our website today. If this is your first visit, take your time and look around. I have plenty of information and resources available to you. If you are a return visitor, thank you. I would love to hear from you and tell you how I can serve all your real estate needs.